We use technology to help corporate assess and hire candidates from campus and beyond. Read more . . .
We help institutes measure and improve employability of their students. Read more . . .
Our Vision - To ensure that every student in any corner of India gets an equal opportunity to build a career. Read more . 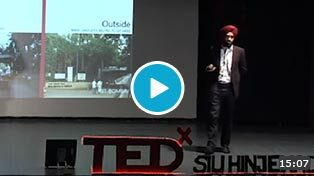 . .
TEDx Talk : Why are you unable to hire?